You can purchase your copy at Thomas Nelson website. When I received this dictionary in the mail I was surprised by the weight as it weighs in at 5.1 pounds and the huge size – 2 1/2 inches thick with it’s hardcover and it’s 1,280 pages, it’s a mammoth resource to have on hand when studying. If you recall the NKJV Study Bible I reviewed a couple weeks ago, this is a companion resource to that Bible although it doesn’t have to be used with just that Bible. While it’s called a dictionary, the entries are almost like an encyclopedia of sorts as they aren’t just short definitions but in depth analysis of the people, places and cultures contained within the Bible itself – such as “Jerusalem Council, The” takes up almost 1 1/2 columns in telling what the council was. There are many charts, I like the visual survey of the Bible, as well as maps and photographs all in vivid, full-color to hold your interest and really show what images and scenery looks like. 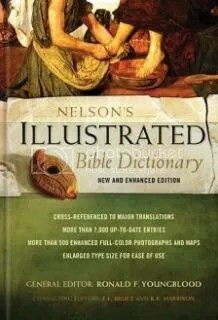 As I said it doesn’t have to be used with just the NKJV Study Bible I mentioned above as the dictionary is cross referenced with most major translations, so whether you use KJV or the ESV, you’ll find this a helpful study resource. I’m not sure if I’d use it for Bible study while laying in bed as it’s a hefty book but if that is where you study God’s Word best then by all means – I can see myself in front of a large desk with my Bibles open and this dictionary studying the people and times of Christ in vivid words and pictures. Included are five easy steps in using your Bible in conjunction with this dictionary to get the most out of your study, whether you’re a pastor or a lay person who just wants to learn more the five easy steps will have you delving more into the Bible. I have this same Bible in a hard cover format but it is bulky and not really one that fits in my night stand drawer for easy reading in bed, so when I had the chance to review the compact version is beautiful blue duo-tone genuine leather I jumped on it. 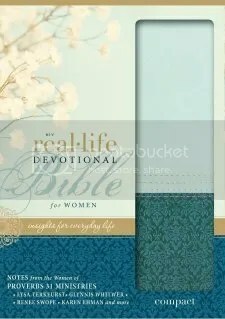 My favorite color is blue and most Bibles for women usually are pink or the majority of pink – so finding a women’s devotional Bible in blue was awesome! Each daily devotion is alongside the Scripture that it is derived from, so reading both the devotional and the Scripture reference will aid in both an understanding of the devotion as well as a way to look at God’s Word and how it still relates to us. Each devotional also gives other verses to explore that relate to it as well as what page the next devotion will appear on, so no flipping around to find the next one. There is also a topical index so if you want to work on anger, or if you need to figure a way out of your busyness, depression, going through trials, even quilting are just a few of the many topics you’ll encounter. The author index is great if you have a favorite female speaker or leader and you want to read what her specific devotionals say it’s easy to find what she’s written. The Bible is the easy to read NIV version and I use this Bible when I just need a good way to get into what the Lord is saying, I think my only complaint is that in the Psalms, Selah is only noted in the foot notes instead of within the text, this is supposed to aid in readability but as one who is used to reading Selah it’s sort of hard to get used to. That said, there is not an exact interpretation of Selah but from what I’ve read on the use of the word, as my children have asked in the past, it’s meant to be a pause or reflection – so as we read the Psalms and come upon Selah the Psalmist is telling us to pause, to reflect on those words. As in most compact versions, the print is quite tiny – so if you’re like me and have a hard time with small print get out your eyeglasses or a magnifying glass. Okay, it’s not that tiny – but it is tiny enough that my glasses do improve my reading experience, but that goes for just about any book I read these days. The beautiful blue silk ribbon will help you in keeping your place and definitely adds even more the the feminine feel of the Bible – that goes along with the light floral design in the corner of the devotional pages. This is a beautiful Bible, and would make a great gift for a lady in your life, especially if she likes blue. The top part of the cover is a smooth light blue while the bottom part is an embossed darker blue (I’m sorry, I can’t remember the exact colors as they were listed on the package). The beauty of the outside of this Bible adds to the beauty of what is between the covers, God’s Holy Word that He gave to us and it’s one I’m happy to be able to put in my nightstand or in my purse. BookLook Review: Faithgirlz! 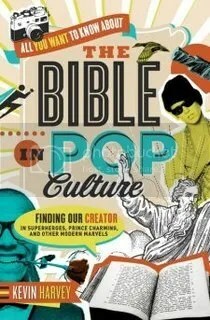 Big Book of Quizzes from the editors of Faithgirlz! Welcome to the world of, well, you! The Faithgirlz! 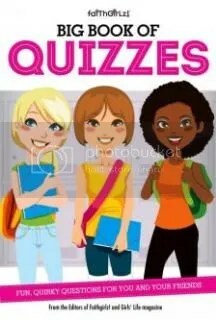 Big Book of Quizzes offers more than twenty quizzes delve into school, friends, faith, family, guys, and questions “All-About-You.” Take the quizzes on your own or with friends. Some funny, some thought-provoking, every quiz ends with wide range of answers to help girls think about themselves, get advice on tons of topics, and learn little “who knew?” facts about how they really think and feel – done in a fun format every girl loves. Girls will love circling questions, asking BFFs for best answers, and LOLing at those “that’s SO me” moments. And, yet, each has a takeaway message that makes the Big Book of Quizzes a super entertaining, relevant, and interactive read for girls ages eight to twelve. You can purchase your own copy at Zondervan. Each chapter has between six and eight multiple choice quizzes for your daughters to work through and the results at the end simply require them to count how many A’s, B’s, C’s and D’s they got and then the one with the most is the girls’ results. I didn’t think the school section would have much in the way for my girls since they are homeschooled but the quiz on your secret learning style is great for however the girl is being schooled. The one thing my daughter’s and I did not like were the quizzes about boys such as, “are you totally crush crazy?”, “are you ready to date?” and “who’s your perfect guy”, since my girls aren’t exposed to peers who are boy crazy and we chose to let God lead the way as to who is going to be their perfect guy (or not, maybe He’ll lead them to be single and serve Him) these quizzes weren’t that pertinent to us. I also don’t think that girls should be focusing on this type of thing, instead they should focus on their relationships with their family, community, God and friends (not necessarily in that order). There wasn’t much of a spiritual aspect either, which I was sort of surprised by – since it is a FaithGirlz! publication I was expecting some Scripture or Scriptural connection to what the girls learn about themselves or their friends from the quizzes. Unless I missed it there were no Bible verses or Scriptural connections at all, especially where it was most important – with the guy issue and the Faith section. Even though there is the chapter on Faith and Family I found this to be a book that whether the girl is Christian, Muslim or no religious affiliation could pick this up and relate it to her life and her beliefs. Overall, it’s a fun book and provides a fun look into the lives of my girls and their friends but if I had to recommend it based on Biblical worldview or being overwhelming Christian I could not recommend it – it’s simply a book with fun quizzes. You can purchase your copy at Zondervan or on Amazon. I wasn’t really sure what to think when I requested this book, as sometimes books geared towards older children that are based in history seem to have a lot of things lacking – such as historical accuracy among other issues – and I’m happy to say that that wasn’t the case in this 3-in-1 book. My oldest daughter has a fascination about the culture and history of WWII and so that was my main impetus to request Life Behind the Wall – because I knew it’d be something that she would more than likely enjoy reading and now that I’ve read it I know she will if she can hang on through the first couple of chapters. I say that because it took me the first few chapters of Candy Bombers to get really into the book, at first it was a little boring but as the reason for the title emerged things really began picking up – while I knew that most people in Europe really didn’t care for the Americans I didn’t know how deeply that was felt nor did I realize how divided Berlin was. This book gave a startling look into how life was for those in Berlin after the War and then as the Wall went up and then came down again – having family trapped on side and not being able to see them unless you went through an extensive border crossing process, that made me nervous just reading about the one the characters had to go through. 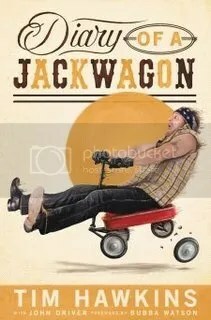 At the end of each book there are some historical facts, such as what was really true – the author wove the fictional characters into the story while keeping with historical accuracy and not trying to make things worse (of course I’m not sure how things could have gotten much worse) or seem better than they were. I don’t want to give too much away but the story of the candy bombs, which were little parachutes tied to candy, which American pilots would then drop so that the children below could have a little taste of something sweet. The stories follow on family over the course of the years Erich’s mother marries an American pilot against the advice of her mother in law of her 1st, killed, husband and then anger and hatred tears the family apart. Beetle Bunker, follows Sabine, Erich’s (who is now trying to become a Dr in Communist Berlin) half sister, who wants to help with the escapes that seem to be happening but no one wants to talk about since your neighbor could turn you in. Finally, in Smuggler’s Treasure, Liesl who is Sabine’s daughter, helps in smuggling Bibles across the border to her uncle Erich but then as startling information comes to light as she writes a paper for school she finds something about her family. As the stories carry on and flow together it’s like watching one time in history flow seemlessly into the other – which is what I liked about this book and I didn’t have to wait for the next one to come out while I forget how each character is related to the other. With the historical facts also comes discussion questions which can lead to not just more digging and researching into history (great for the homeschool student) but also the use of Scripture will have the reader who goes through the questions delving in Scripture as well. This was an eye opening read – as in school I learned about the Berlin Wall but not much more and I’ve even seen a piece of it at our local Air Force Museum, but to read about what really went on – the persecution of Christians, the starvation, the horrible medical care and more – makes it all come alive and the author, Robert Elmer, did so with skill.